Charles Robertson, a leading emerging markets specialist, is Renaissance Capital’s Global Chief Economist and Head of the Firm’s Macro-strategy Unit. Mr. Robertson covers the global economic themes having the greatest impact on emerging markets. Over the past decade, the scope of Mr. Robertson’s work has covered, among other topics: quantifying political risk in emerging markets; how the retirement age rising to 67 reflects deep-rooted problems in the West and great opportunities in emerging markets; the revolutionary nature of growth in countries with non-democratic governments; the fact that Africa’s economies are now returning some of the highest growth rates on Earth, and how this trend is set to play out; the impact of terrorism and natural disasters on economies; the effects of falling agricultural stocks on food prices and inflation; and how emerging-markets banks may have the best growth potential over the coming years. Mr. Robertson is the lead author of The Fastest Billion: The Story Behind Africa’s Economic Revolution (www.fastestbillion.com), published in October 2012. Mr. Robertson was ranked the number-one economics and macro analyst for emerging Europe, the Middle East and Africa in the Extel survey in 2007, 2008, 2009 and 2010. In addition, the team he led was ranked the best macro team in Extel’s 2010 survey of equity investors. Mr. Robertson graduated from the London School of Economics in 1993, and worked at a UK parliamentary defence think-tank and a research boutique until joining the financial services industry in 1998. 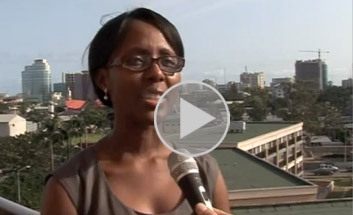 Yvonne Mhango is Renaissance Capital’s Sub-Saharan Africa Economist. Prior to joining Renaissance Capital in November 2010, Yvonne headed up the Sub-Sahara Africa (SSA; ex. SA) Economic Research Desk at Standard Bank of South Africa. She has worked as an SSA economist for five years, producing macroeconomic research and political analysis on several SSA countries, including Angola, the Democratic Republic of the Congo, Ghana, Kenya, Mozambique, Nigeria, Tanzania, Uganda, Zambia and Zimbabwe. Yvonne graduated from the University of Cape Town with a Masters degree in Business Science, majoring in Economics. Michael Moran is Editor-in-Chief of Renaissance Insights, Renaissance Capital’s thought leadership division, offering access to leading policymakers, academics and financial thinkers for the bank’s platinum and gold clients. A veteran foreign policy commentator who spent two decades as a foreign correspondent for some of the world’s leading news organisations, Moran is author of The Reckoning: Debt, Democracy and the Future of American Power (2012 Palgrave Macmillan), and has a column on the US online magazine, Slate. From 2009 to 2011, he served as vice president, executive editor and senior geostrategy analyst at Roubini Global Economics, the macro/strategy consultancy founded by economist Nouriel Roubini. Before that, from 2005 to 2009, he was Executive Editor of the New York-based Council on Foreign Relations, radically overhauling the institution’s media strategy, writing analysis on technology and defence issues and winning several honours, including three Emmy awards for documentary work, for his role as executive producer of Crisis Guides on the Darfur conflict and the global financial crisis. Moran also spent a decade as an adjunct professor of journalism at Bard College in New York. His journalism career included periods at major US and British media outlets: senior producer, International News and Special Reports, MSNBC.com (Seattle and New York, 1996-2003); U.S. affairs analyst, BBC World Service (London, 1993-1996); senior editor, Radio Free Europe (Munich, 1990-1993). In 2003, Moran served as Hearst New Media Fellow at Columbia University Graduate School of Journalism. His work has appeared in the New York Times, The Washington Post, Newsweek, The Economist, The Spectator (UK) and The Guardian; and he has appeared frequently on BBC, Bloomberg, CNBC and other leading broadcast networks. Arnold Meyer is CEO of Rendeavour, a developer of more than 10,000 ha (25,000 acres) of eco-friendly residential and commercial satellite cities in Africa, which will be home to more than 300,000 residents. Rendeavour’s portfolio includes Tatu City in Nairobi, Kenya; King City and Appolonia, in Ghana; Kiswishi, in Lubumbashi, the Democratic Republic of the Congo; and Roma Park, in Lusaka, Zambia. Previously, Mr. Meyer was managing director of London & Regional Properties Africa, primarily responsible for the Victoria & Alfred Waterfront in Cape Town; and CEO of Broll Property Group, the largest property services provider in Africa. Nothando Ndebele is Renaissance Capital’s Head of African Research. She has extensive experience in financial services, with a strong focus on investment research, analysis, valuation and portfolio management. Mrs Ndebele’s in-depth knowledge of the African market has been gained through senior roles at organisations including Afena Capital (formerly known as Renaissance Specialist Fund Managers), which she jointly founded and attained assets under management of $350mn within three years. John Arron has been analysing South African industrial stocks since 1994, with top ratings achieved in Engineering, Electricals and Construction. He has also been rated in Technology, Diamonds and Diversified industrials. After 14 years in the Oil & Gas and Mining industries, John started his career in investments at HSBC and later Renaissance Capital. John holds an M.Sc. in Exploration Geophysics (Imperial College) and an MBA. Johan Snyman started as an equity analyst in 1992, and since 1994 has been rated as a top-five analyst in the Telecoms, Technology and Electronics sectors in South Africa. The Financial Mail again rated Johan as the top Electronics analyst in 2005 to 2009. Previous top-three ratings include Telecoms, Media, Engineering and Building & Construction. Johan is viewed in the market as a leading analyst with outstanding knowledge and insight into the ICT sector, having written numerous reports and performed many presentations about the ICT industry. Prior to his career as an analyst, Johan was a management consultant at Deloitte & Touche, and was part of the team that consulted with Telkom SA on its corporatisation in the early 1990s. His other previous assignments include investigations into the establishment of an alternative pay-TV platform to Multichoice, the creation of a business plan for a GSM network operator in Botswana and advisory for a leading BEE group with respect to the acquisition of a leading mobile network operator in Africa. Johan has B Eng (Electronics & Electrical) and M Com (Business Management) degrees from RAU, now known as the University of Johannesburg (UJ). Jim is a metals and mining sector analyst at Renaissance Capital, with a focus on companies with development-staged projects in Africa across the commodity spectrum. Jim has over 20 years’ financial markets experience, and joined Renaissance in May 2010 from Canaccord Adams, prior to which he worked for firms including Old Mutual Securities and Yorkton Securities. His industry experience includes operational and technical roles at mines in South Africa, Chile and Ghana. Jim graduated from the Royal School of Mines, Imperial College with an Honours degree in Mining Engineering. Dragan Trajkov is a former Renaissance Capital equity research analyst covering the oil & gas industry. He started his research career at Genuity Capital Markets and also worked with Salman Partners Inc. He holds an MSc in Electrical Engineering and an MBA, both from the University of Kansas, USA. He is a CFA charterholder. Mr Richter joined Renaissance Asset Managers in January 2011, as Head of Frontier Markets after successful careers in frontier markets at Franklin Templeton Investments (1995-2010) and Standard Bank of South Africa (1987-1994). 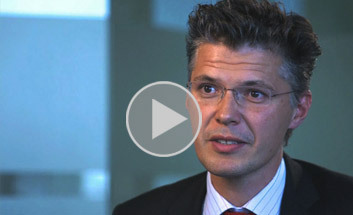 Mr Richter has spent over 15 years investing in emerging markets. At Templeton, he was responsible for research coverage for the Africa region and commodities sector. He co-developed the IT systems that are still used today as a core part of the research process. During the later stages of his career at Templeton, he launched and ran two of the firm’s Frontier Market Strategies. Bradley Way is a former oil&gas research analyst at Renaissance Capital. Previously based in Beijing, Mr. Way worked for BNP Paribas in China, where he was Associate Director and Head of Asia Energy Research. Prior to that, he worked as an Investment Banking Associate with a focus on the energy sector, and as a Research Associate in Energy, Utilities and Materials for the US-China Business Council, in Beijing.